We came back from Seize the Day!on a high. Many more questions had been asked than had been answered, but everyone seemed to agree that the spirit of solidarity this year was a force to be reckoned with. The discussions were mature and focused and the issues brought to the conference sessions deserved answers – our coverage of the event in this issue of the magazine is just a start. We’ve had a lot of feedback that delegates appreciated Andrew Selous MP’s undivided attention –not just during the conference session, but afterwards, when he stayed for a long time answering questions and hearing concerns. He said attending the conference was an education, and promised to take issues raised back to the House of Commons. We’ll be chasing for a progress report. More than anything, we soaked up a spirit of camaraderie among delegates and a keeness to learn from colleagues in other areas of the country. Service user groups have greater confidence now than ever before and this shone through, not least in the group exhibition area where there was evidence of real integration with DAATs, services and local planning groups. 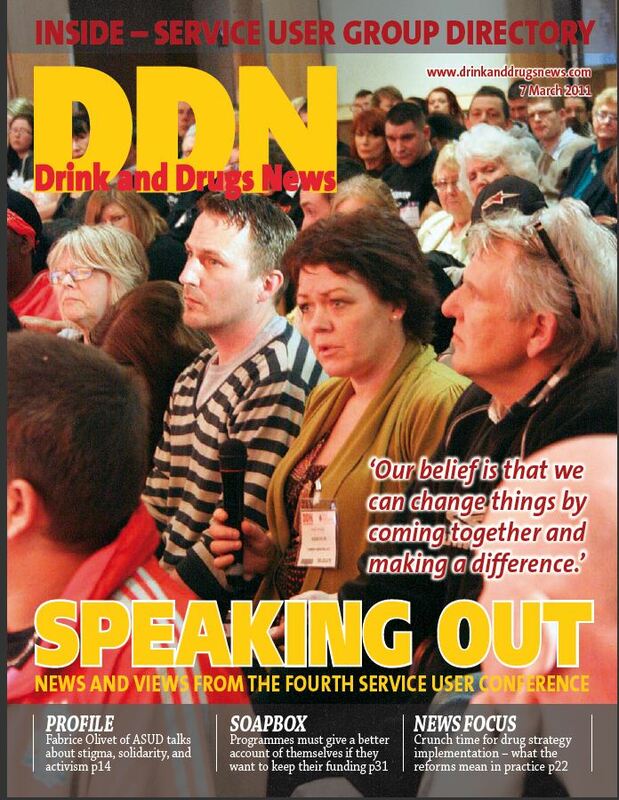 All power to our service users up and down the country!